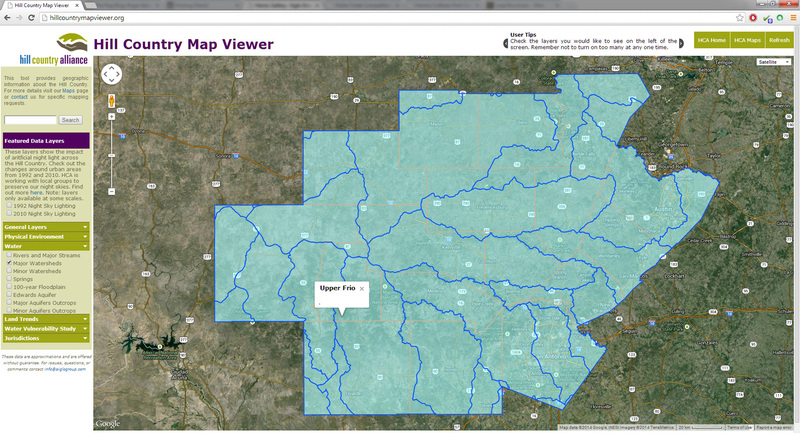 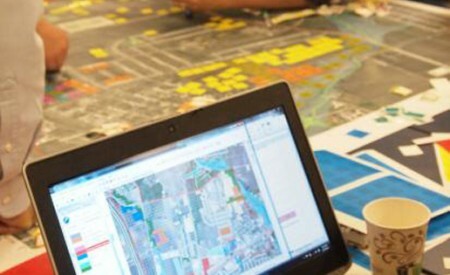 Siglo Group was asked by Hill Country Alliance to create an online mapping tool that allowed for quick, easy access to information important to people in the Hill Country. 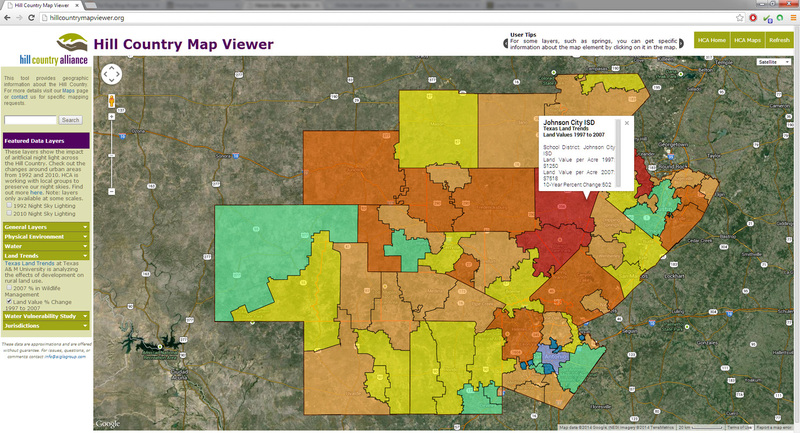 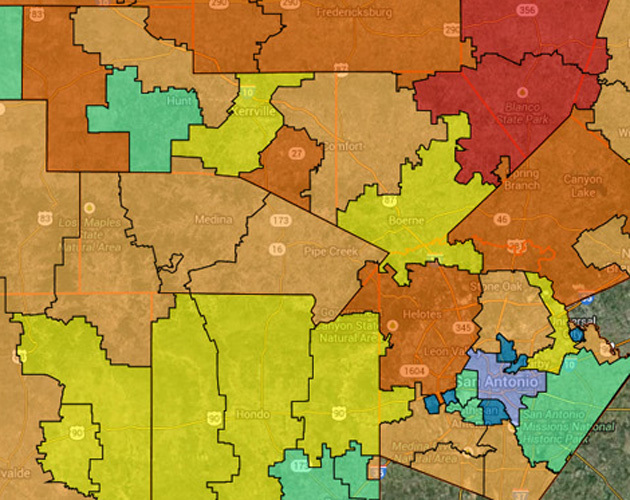 Using a Google Maps API and a straightforward user interface, the Hill Country Map Viewer is able to deliver information about a 17 county area. 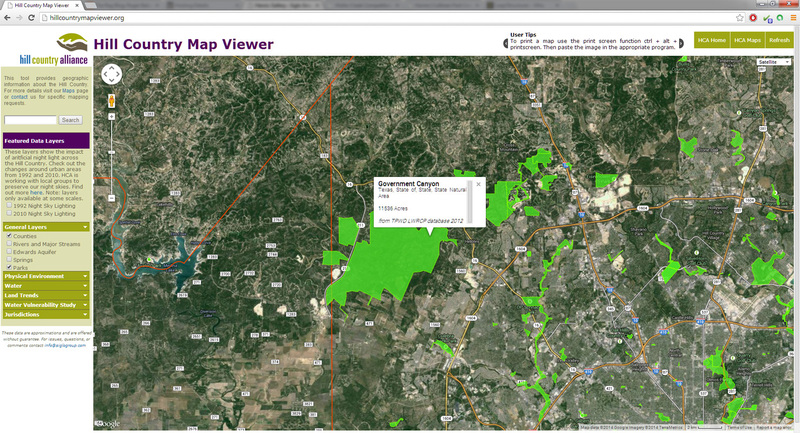 People can check out which watershed they live in, where local springs are, and see how land values have been changing over the years. 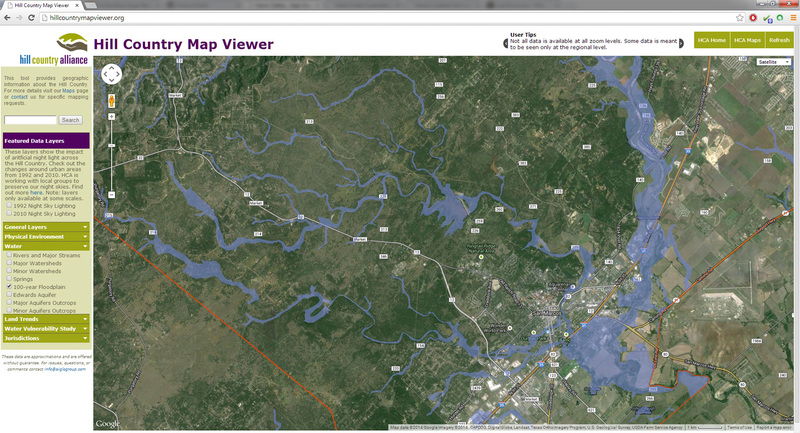 The map viewer can be seen at hillcountrymapviewer.org.